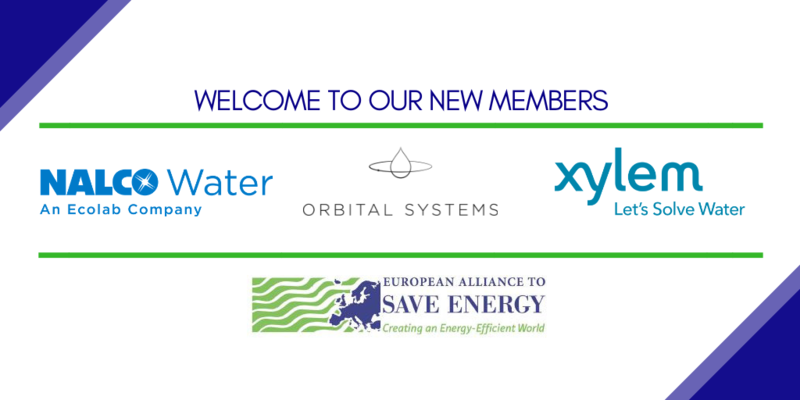 The European Alliance to Save Energy (EU-ASE) is very pleased to welcome Nalco Water – an ECOLAB Company, Orbital Systems, and Xylem Inc. among its current group of industrial members. The drinking and waste water sector is a high energy consumer, yet none of the water-related directives in the EU – the Water Framework Directive, the Drinking Water Directive, and the Urban Waste-Water Treatment Directive –covers energy efficiency. Nonetheless, a broad range of solutions are available to reduce energy consumption across the EU water value chain. According to the IEA World Energy Outlook, with the right set of water policy measures, global energy savings of 270 TWh by 2040 are possible. This is achievable with today technologies and know-how and could free valuable resources for the needed investments in water infrastructure in the short, medium or long-terms. Monica Frassoni, President, EU-ASE: “Energy efficiency is a key driver to a carbon neutral economy by 2050 and there is huge energy efficiency potential across industrial sectors, regions and cities. In the water sector, by saving water, one also saves energy and this is why we have decided to create a dedicated water working group within the Alliance. Our current and new members will work together on the water energy-nexus which has been overlooked in current regulatory framework. We want to make sure that policy makers understand the win-win situation and the need to integrate an energy efficiency dimension across the EU water policies and legislation”.